BaitRageous: The Debate, we have a winner! I look at things a little differently than most. I couldn't help but put this "debait" cartoon on the blog. 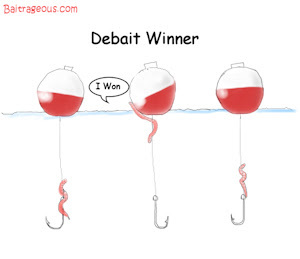 Who won the debate, well this is from a different prospective, "Debate" versus "Debait". As Gilda Radnor would say on Saturday Night Live, "Oh never mind." Check-out my vintage style decor maps. 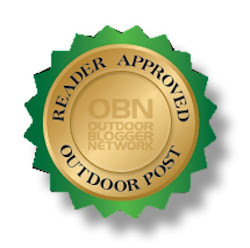 They make great gifts for the lake house owner, lake lover, or fisherman. I have over two hundred on my website that can be purchased right from the site, or I can do custom and personalizes lake, river or bay maps, too. I have maps of Lake Champlain, Lewis Smith Lake, Lake Tahoe, Lake Sinclair, Norfork Lake, Pickwick Lake, Lake Bob Sandlin, Lake Conroe, Lake Winnebago and many others. Oh yeah, I hide a tiny mermaid in the waters of all my maps that folks love to search for. 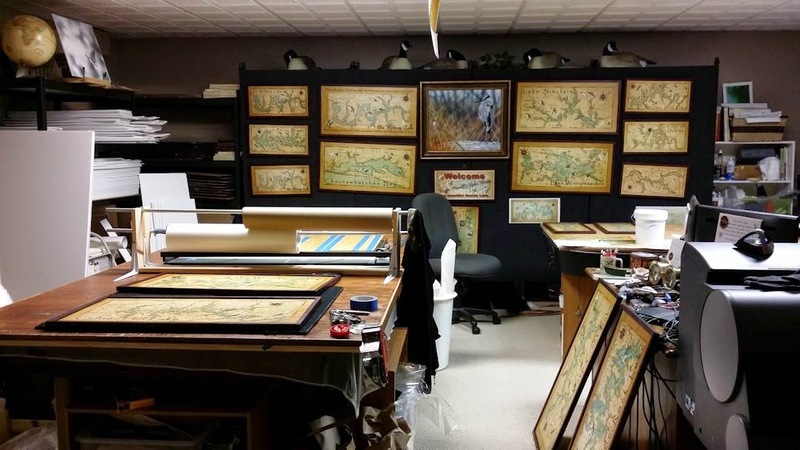 Find out more interesting facts about my treasured maps by going to LeoMaps.com. Oh yeah, this is part of my studio, "here a map, there a map, everywhere a map, map!" I'm speechless. Oh never mind.